It is a rather amazing fact that IBM systems was deeply associated with NASA. During the Apollo missions IBM’s computer system played a significant role of assisting NASA. Its 4K RAM based computer systems and a work force of 4,000 employees successfully helped Neil Armstrong land on moon. Google developed the first smartphone running Android OS nicknamed ‘Alpha’. However, experts believe that it wasn’t Google who developed the first smartphone rather it was IBM. IBM developed the first touch-based PDA display called Bellsouth IBM Simon. Five IBM employees have been awarded with Nobel Prize for their technical breakthroughs in science and research. Some of them have achieved major patents for their exemplary innovation. IBM systems developed the first AI ever in the form a Chess Game, Deep Blue. Deep Blue proved its superiority over a human mind as it defeated the world famous Chess champion, Gary Kasparov. IBM computer systems built another AI called Watson 14 years after Deep Blue. This time Watson ended up defeating two champions on Jeopardy proving the might of IBM to develop mightiest AI. 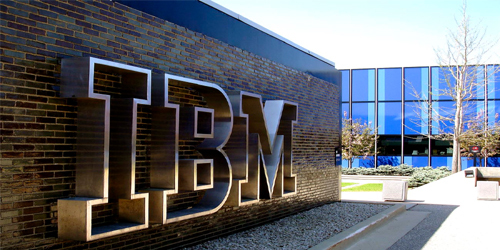 IBM became the first US computer systems company by acquiring over 4,000 patents in a year. It later went on to make history in inventing the first ever continuous blood separator machine. This machine is largely used to treat cancer patients suffering from Leukemia. Steve Jobs was well-known not only for bringing Apple to us but for openly loathing both Microsoft and IBM equally. Steve Jobs unofficially borrowed the ‘Think’ slogan IBM for launching the Apple campaign titled as ‘Think Different’. IBM systems assisted Hitler during the Holocaust. The Nazi Army was supplied with a punch card machine by IBM which was used to automate the persecution of Jews. Author Edwin Black has wrote an entire book outlining the association between IBM and the Nazis.